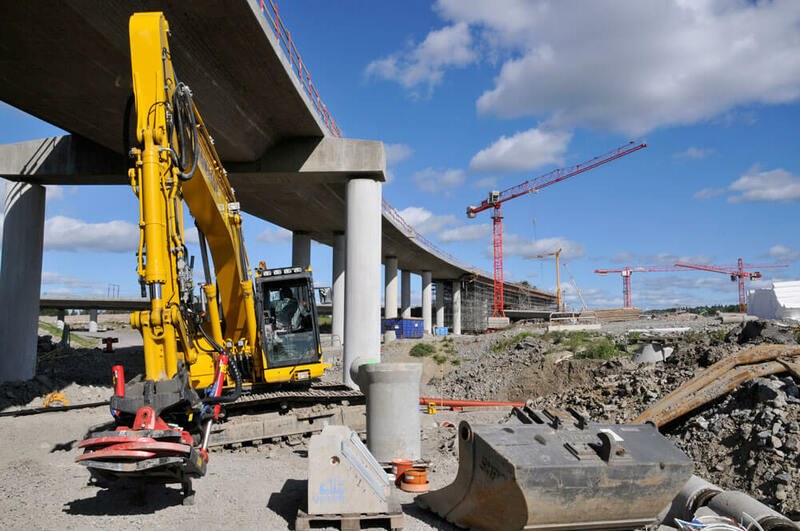 With a growth of 140 percent over the past year is Nyanläggarna i Luleå AB, or NYAB as they are now called, a rapidly growing land contractor company operating in Norrbotten and Västerbotten. – We use software that helps us to be more efficient and maintain high quality in our job, says Fredrik Karkiainen foreman at NYAB. NYAB is a construction contractor and perform most types of ground works such as sewage works, road construction, plans and surfacing works. Besides construction contracts, NYAB performs most types of demolition and fencing planting, especially venison and reindeer fence. They have a wide range of customers, from local governments to construction companies, major property companies and industries. Fredrik Karkiainen works daily in Bidcon, Sitecon and Plancon. – It’s actually of high importance for us. Without them we would not be able to be as effective in our work and we use the software to all of our jobs, big and small, he says. NYAB use Bidcon among other things, to count on jobs and with Plancon they controls for example the time scheduling, staffing and resource allocation. Sitecon is used for all documentation and for deviation. – Being able to handle deviations is important for us because we see deviations as a basis to become better and more efficient. Then it is necessary that it is easy to track deviations and to gather all in one place no matter where you are, says Fredrik Karkiainen. He sees great synergies with having applications from the same vendor. – There are many smart connections between the software. There are, for example, a link between Bidcon and Plancon which makes it easy to time schedule projects, he says. Fredrik Karkiainen has used other software before. – I think that these programs are very user friendly and they have an interface that makes them easy to use, he explains. Support is another benefit that he spontaneously highlights. – Time is money, says Fredrik Karkiainen.